along with their gross misuse as places to put those unfortunate souls that for one reason or another didn't fit into the "norm" of society. Therefore, I became interested to see how a YA fiction book would touch of a time period and subject that is just too infuriating to be believed. 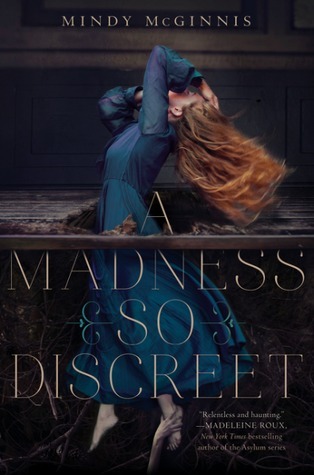 However, this book does an amazing job of bringing all of those injustices to life through Graces eyes while giving the reader a mystery to untangle and demons, both real and psychological, to slay. At first, we find Grace a victim, but it isn't long before she finds the strength she needs to claim her life for her own. She survives loss, betrayal, and countless other dangers to become a version of herself that can not only protect herself, but those she holds dear. I really enjoyed diving into the history of this book. It wasn't dry or hard to read. The story was well integrated in the time period, it's society and situations. It made me angry, but that anger also added a bit more excitement when Grace began to fight back. I was completely in her corner throughout the whole book. I think this would transfer to film well. As a period piece, it is a standard production. The interest may be there with the political debates that are going on at the present time. There is a strong undercurrent of the abuse of power in this book. As we go to choose our leaders for the next 4 to 8 years, taking a look at what has happened in the past when power isn't used well might be a popular idea.